Former Mossad Chief Meir Dagan, 67, has undergone a liver transplant in Belarus, the country's president, Alexander Lukashenko, said in a press conference on Tuesday. Dagan's illness has been kept secret so far. He is said to be recovering in isolation for fear of infection, as it remains to be seen whether his body will receive the transplant well. According to Lukashenko, the operation took place ten days ago and was completed successfully. He said that Belarus agreed to host the surgery after the US, Germany and Sweden refused. However, sources close Dagan denied the latter claims, saying that Sweden was never asked to operate and the US did not fulfill criteria for the transplant. 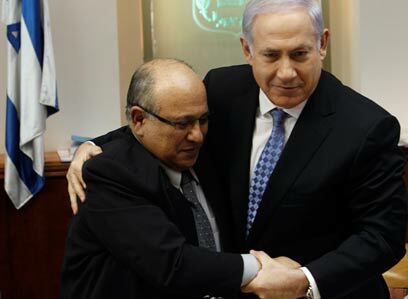 After retiring from the Mossad in 2011, Dagan primarily stood out for his categorical calls against a strike on Iran. In March, the former spy chief told CBS TV's "60 Minutes" that an Israeli attack on the Islamic Republic's nuclear facilities would have a disastrous affect, triggering a regional war. He said that there is still time to consider other options. Dagan was born in 1945 to Holocaust survivor parents in the Ukrainian city of Kherson. His family made aliyah in 1950. In 1963 he began his IDF service in the Paratroopers Brigade. During the Six Day War he served as a company commander in Sinai. Reaching the rank of brigadier general, Dagan retired from the army in 1995. He was named head of the Mossad in 2002 by then-Prime Minister Ariel Sharon. See all talkbacks "Ex-Mossad chief undergoes liver transplant in Belarus"